Galileo Galilei was the first modern astronomer. Preferred experimentation and measurement to philosophical rhetoric. The telescope was invented in 1608 by Dutch spectacle makers. Tradition says this was Hans Lipperhey, but no one really knows who was the first. In April 1609, you could buy one in eyeglass shops in Paris. Galileo learned about the telescope in 1609, but did not get a chance to see one. Based on a description, and acquainted with lens making, he made his own. He solved many technical problems, and came up with a design that produced good-quality images with a magnifying power of 20x. He soon turned his telescope on the night sky. "...a most beautiful & delightful sight." In 1610, Galileo published his telescopic observations in the Sidereus Nucius (The Starry Messenger). Later observations were published in letters, and in a longer work, The Assayer , in 1623. Note: Galileo made other important observations, including that the Milky Way is made of myriads of faint stars, and and the odd shape of Saturn. The latter turned out to be Saturn's Rings which were just beyond the ability of Galileo's telescope to discern. They were correctly recognized as rings by the astronomer Hevelius in 1656. Neither of these observations concern us directly here. Moon was not a smooth, perfect sphere as taught by the Aristotle and Ptolemy. Surface was "... rough and uneven, and just like the surface of the Earth itself..."
Galileo was able to measure the heights of lunar mountains using their shadows. Conclusion: The Moon was another world like the Earth. Bright surface of the Sun had dark spots that changed and moved across its surface. Discerned solar rotation over time. Sun was not a perfect body, and was in fact rotating. Contemporaries also reported them (they appear in Chinese records as early as 28 BC, but nobody in the west had access to this knowledge). If a huge object like the Sun can rotate, why not the Earth? The Sun, too, was imperfect, contrary to Aristotelian teachings. Jupiter appeared as a disk. 4 points of light that followed it and moved in orbits around it. Conclusion: The Earth is not the only center of motion in the Universe. There was a solar system in miniature around Jupiter for all to see! Order of phases and change in diameter proved conclusively that Venus orbited the Sun. Ptolemaic theory predicted the opposite behavior. Conclusion: The Sun was also a center of motion. This itself did not prove the Copernican system (it was also consistent with the Tychonic system), but it was inconsistent with the prevailing Ptolemaic system. Skeptics claimed that the telescope was lying (and Galileo, too) and entrenched. Kepler was delighted, and soon got his own telescope, as did many others. Many scholars began to take the Copernican system seriously as a physical system. The discoveries brought Galileo immediate fame throughout Europe. Perhaps most importantly, with the telescope everyone could literally see it for themselves. This, more than all the profound philosophical speculations or obscure mathematical arguments, was behind the tremendous impact of Galileo's observations. These phenomena were observed facts of nature, and had to be confronted. Galileo knew he could hold his own on the ground of scholarly confrontation. He was now by far the most famous scientist in Europe, and immensely influential. This position led him to miscalculate his own influence, and to badly misjudge the influence of his enemies. The Church officially declares that the heliocentric theory is "philosophically false and at least an erroneous belief." De Revolutionibus was officially banned. Galileo was called to an audience with Cardinal Robert Bellarmine, who cautioned him verbally to stop teaching and defending the Copernican model in public. 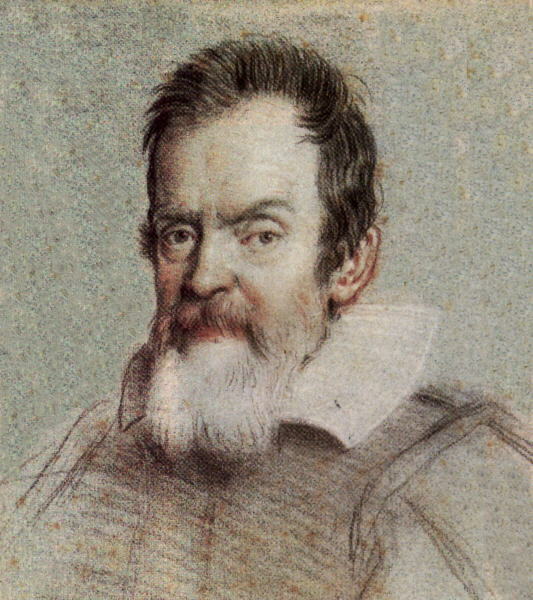 Galileo writes " A Dialogue on the Two Chief World Systems ", ably defending the Copernican system. Seeks permission from Pope Urban VIII to publish it, but is rebuffed. Galileo's Dialogue is published in Florence, written in Italian (Tuscan), not Latin. It was an instant success & widely acclaimed. Galileo unfortunately played directly into the hand of his enemies. Galileo is summoned by the Roman Inquisition and a document is produced alleging that Bellarmine in 1616 specifically forbade him to discuss the Copernican system in any way (modern scholarship has shown that this document is a forgery, or at best trumped up). Disobedience of Bellarmine's 1616 order. Misleading censors who published his book. What was really going on in the background was that enemies of Galileo convinced Pope Urban VIII that a character in the Dialogue named Simplicio who ineptly defended the Ptolemaic system was a thinly veiled caricature of the Pope himself. This provided a pretext for making an example of Galileo, albeit on trumped up charges. Galileo was his own worst enemy in this situation, as he vastly overestimated his influence in Rome, and the degree to which his well-deserved fame would protect him. Publicly humiliated and threatened with torture, Galileo had no choice but to admit guilt, and "abjure, curse and detest the aforesaid errors and heresies..."
Galileo was placed under house arrest at his villa in Arcetri near Florence until his death in 1642. Despite this, in 1636 he finished "The Two New Sciences" describing his experiments in mechanics. Unable to get published due to his conviction, the manuscript was smuggled out of Italy and published in Protestant Leyden in 1638. This book helped lay the foundations of classical physics. Galileo died, blind and under house arrest, on January 8, 1642. On Christmas Day of that same year, Isaac Newton was born in Woolsthorpe England. In 1992, 350 years later, Pope John Paul II officially declared Galileo innocent.